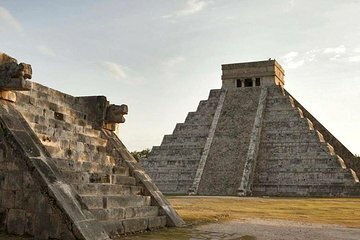 Skip the crowded bus tours at Chichen Itza. Instead, opt for a personalized excursion from Cancun or Riviera Maya. This private day trip lets you customize the itinerary with your guide and choose your own pickup time from the hotel. Entrance fees and a buffet lunch are included, along with beer and soda in a cooler aboard the air-conditioned vehicle. Bonus: swim in Ik Kil or Xcajum cenote. On board cooler with beers, sodas and bottled water.